​What Are The Benefits Of Having An Oak Tree In Your YaRd? Oak trees are more prevalent in certain areas of the country. There are different types of oak trees, and some of them are more common than others. Do you have any oak trees? Maybe you are planning on planting one or more of them. There are many benefits to having an oak tree in your yard. It was mentioned that there are different types of oak trees, but there are in fact 600 species. That's quite a lot of oak trees. Which one do you have, or which one are you going to plant? 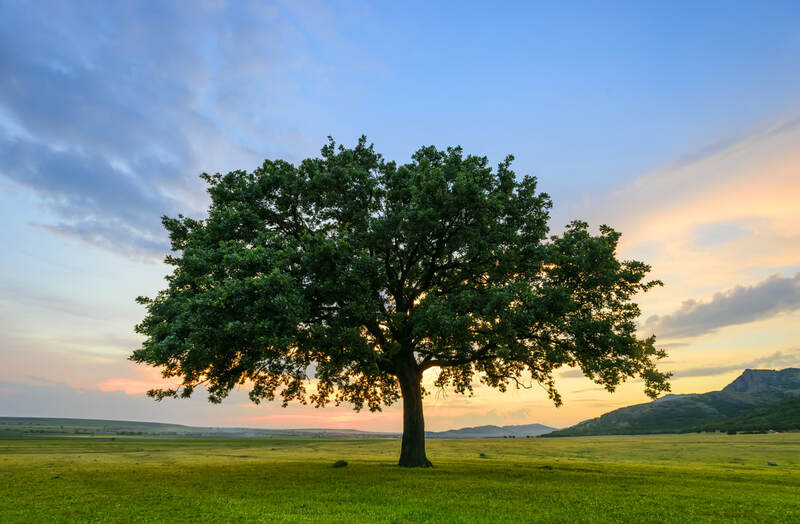 You will want to get to know the type of oak tree you have and its individual characteristics and benefits, but there are the universal benefits of oak trees, too. For example, oak trees help to improve the environment, and this also means the environment of your landscape specifically. Trees are of course going to produce shade, but that's one thing you can certainly count on when you have an oak tree for sure. Oak trees can also help to block the wind and stabilize soil to help prevent erosion. Oak trees are very strong. In fact, oak trees are so strong that they are commonly used to make furniture. You want your oak tree, however, to be a beautiful part of your landscape. Did you know that all the benefits of oak trees coming together can mean reduced energy costs for you as a homeowner? That probably makes you want to plant another oak tree if you have one already, and if you don't, maybe it's time to plant two instead of one. Oak trees are going to bring wildlife to your yard. Squirrels love acorns. The oak trees are a good habitat for other wildlife, too. Plus, oak trees are very ornamental, so a mature oak tree in your yard is going to look very majestic. If you have one already, go out there and take a look with all of this newfound information in mind. You will look at that oak tree in a whole new light. Perhaps you haven't noticed all of the wildlife before. Maybe when you take a look this time, you will see squirrels and birds up in the oak tree. What other types of trees do you have? How do they compare to the oak tree? You will want to get to know the other trees that you have in your yard, too. If you have a particular type of oak tree and want to plant another one, why not pick a different species? It would be really cool to get to know the individual benefits of a different type of oak tree, too. After reading this, you might want to start a forest, but don't go overboard. You can, however, plant a tree or two if you have the room. Maybe you have quite a bit of land, and you have truly been considering planting quite a few trees. Oaks would be a great choice, and remember, they multiply quite easily over the years.